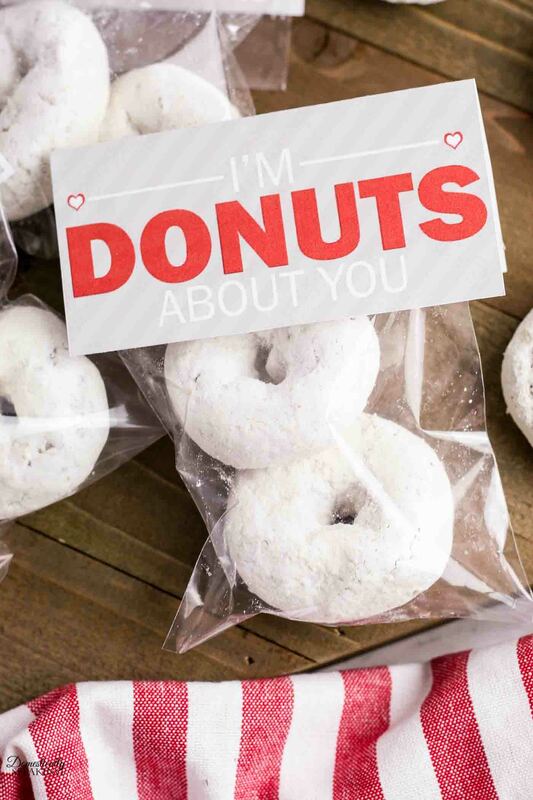 I’ve got the cutest Valentine Gift Idea… these Donut Valentine Printables!!! 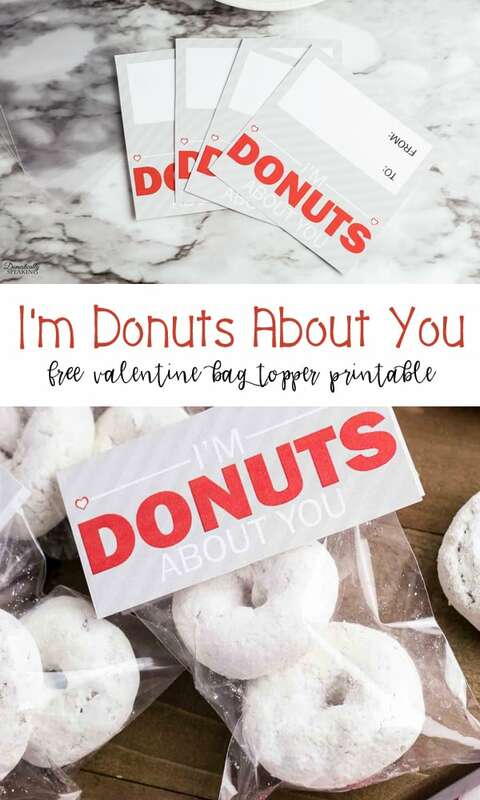 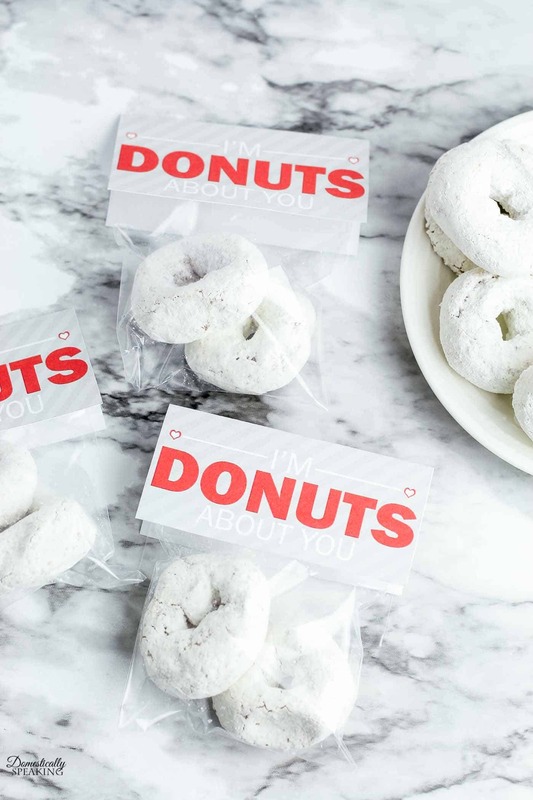 Fill a treat bag with your favorite mini donuts and grab the free printable that I have for you, and you can put together this great Valentine Gift! 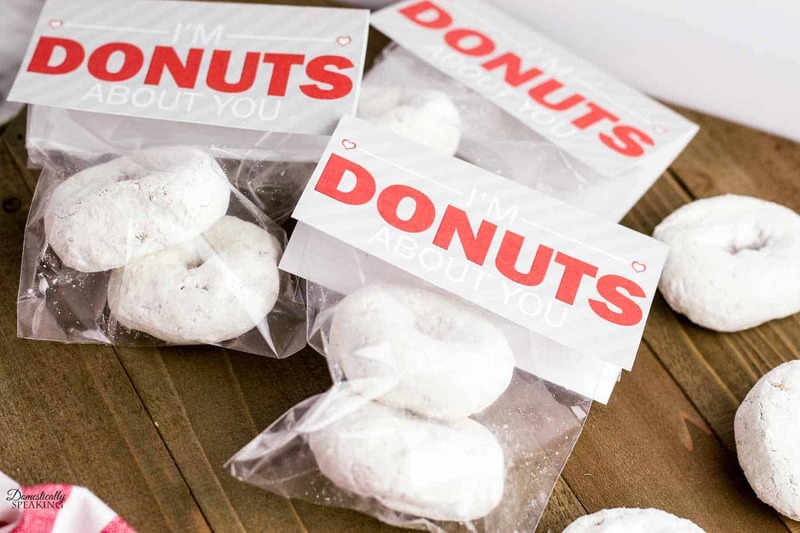 These are perfect for your kids to share with their classmates, teammates, and friends. 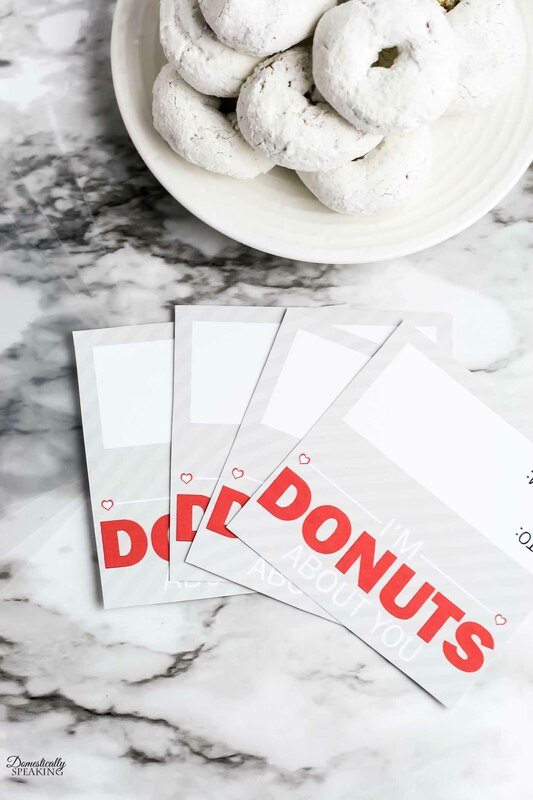 But they are also great for co-workers, neighbors or anyone you want to brighten their day. 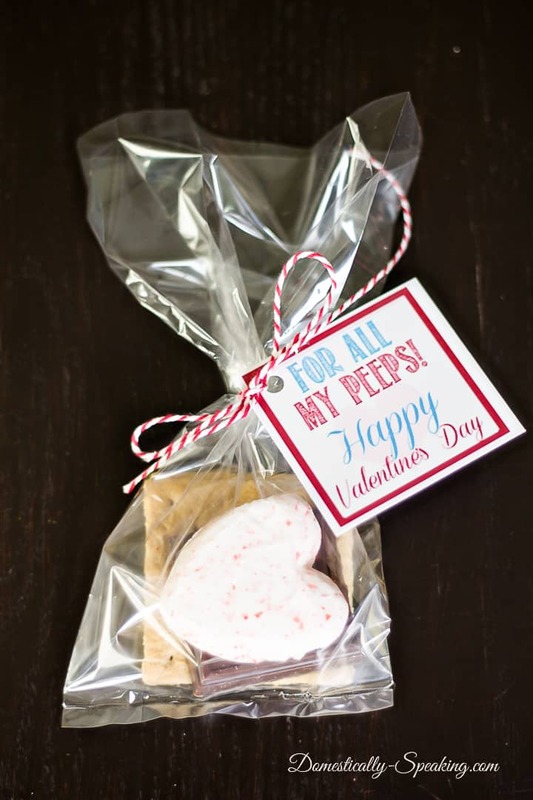 Print treat bag toppers on heavy cardstock and cut out along the outline. 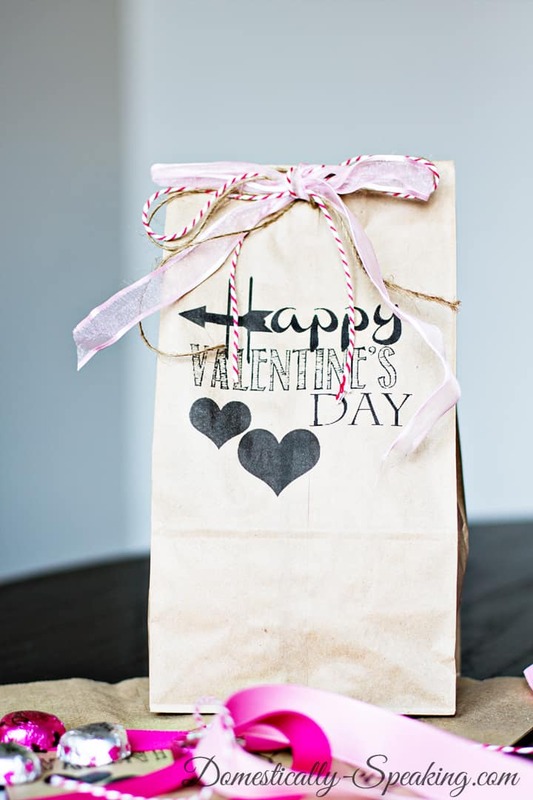 I love Valentine gift ideas like this because they are quick and easy to put together!